Cebu Digital Hub began as a group of freelancers under the helm of one of the country’s top digital marketing strategists, Jun Baranggan. Over the years, the company evolved from being a one-stop-shop for SEO, Content, and Paid Ads, to a training portal for those interested in learning digital marketing, to its current form, which is a company focused solely on helping businesses improve online revenues with the help of online advertising. Our team is currently composed of 7 smart and savvy Google Adwords Certified digital marketing specialists, all of whom have been trained to handle all forms of online marketing platforms. Through the years, we have changed our focus from covering every aspect associated with digital marketing to specializing in only a couple of disciplines. Now, at our current concentration, which is online advertising, we have found our “sweet spot” and have dedicated our entire team to handling ads on various online portals for a variety of companies. In the past, we have handled the strategy and building of digital marketing (paid, organic, social media) campaigns for small and medium sized businesses. Our monthly advertising budgets ranged from US$3,000 to US$500,000. These campaigns were a mix of branding, lead generation and e-commerce/online stores. We have served business in both the retail and services sector in the US, UK, Australia and APAC. Today, while our business model has become more focused on digital ads, we still maintain the same level of dedication, attention to detail, goal-oriented drive, and constant thirst to succeed as we did during our earlier days. We have evolved from a bunch of freelancers trying to make a name for ourselves in the world of digital marketing to a company that knows exactly who and what it is, and what it is capable of. FounderA consultant and speaker in the field of Digital Marketing with almost two decades of experience in both corporate and agency settings. 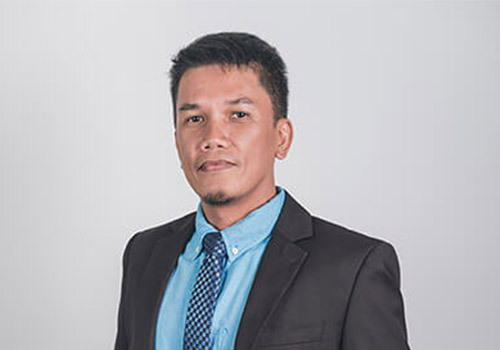 His years of experience include serving in various technical and managerial positions in the lead generation department of one of the largest self-publishing conglomerates in the US operating in Cebu. He has also served as operations manager in three different digital marketing agencies. On the side, he consults extensively on SEO, PPC, Google Analytics and integrated digital marketing strategy for e-commerce websites. Digital Marketing Strategist and TrainerWorks primarily as a digital marketing strategist, but with a background in lead generation, SEO, and SEM, Brian is obviously passionate about what he does. He has an extensive resume that covers a variety of aspects for digital marketing, with his fortes being Google Ads, Facebook Ads, Analytics, and Social Media Marketing. Being on of the few digital marketing trainers for DITC (Department of Information and Communications Technology), Brian teaches scholars the basics of the industry and giving them a chance at online employment with one of the many online companies looking for remote workers. This takes him all over the country, mentoring up to twenty-five (25) students at a time, giving him a chance to further hone his teaching skills. 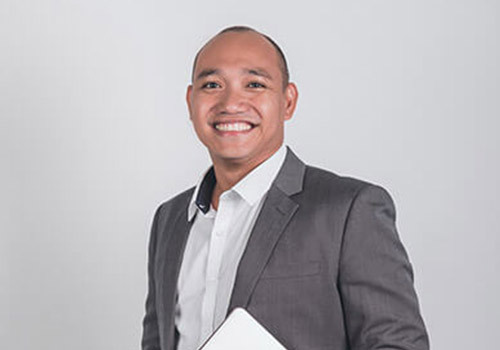 This comes in handy with his role as training partner for PTB Digital Training Hub,where he holds seminars and teaches courses on the more complex aspects of digital marketing together with Jun Baranggan. He is also the Chief Marketing Officer for Cebu Digital Hub. Do you need help in enhancing your brand’s online presence? Not enough returns from your online advertisements? Need help in understanding your website’s traffic? Contact Cebu Digital Hub now!